A few weeks from now, the much awaited fight between the fighting pride of the Philippines Manny Pacquiao and the American Fighter “Prety Boy” Floyd Mayweather will happen this coming May 2. A promotional commercial has been release featuring the two legends of boxing before their upcoming fights. The video shows the two fighter walking off the road wearing their boxing attire, until they reach each other and stare face to face showing no intimidation and the courage to beat on each other. Behind them is the city of Las Vegas, Nevada. The venue where the biggest fight will happen. The right place to be. This fight is expected to make history as it make the biggest sells in boxing history and perhaps the biggest fight of all time. Its time for two Legends , to make their destiny , all roads in the most anticipated events in sports history. Saturday May 2, 2015, it can be watch live on pay-per-view. 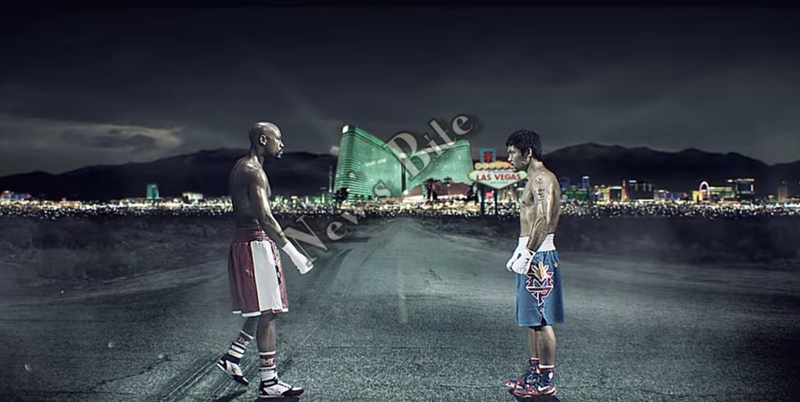 No Comment to " Watch: Promotional Commercial Of Floyd Mayweather And Manny Pacquiao Of Their Upcoming Fights On May 2 "